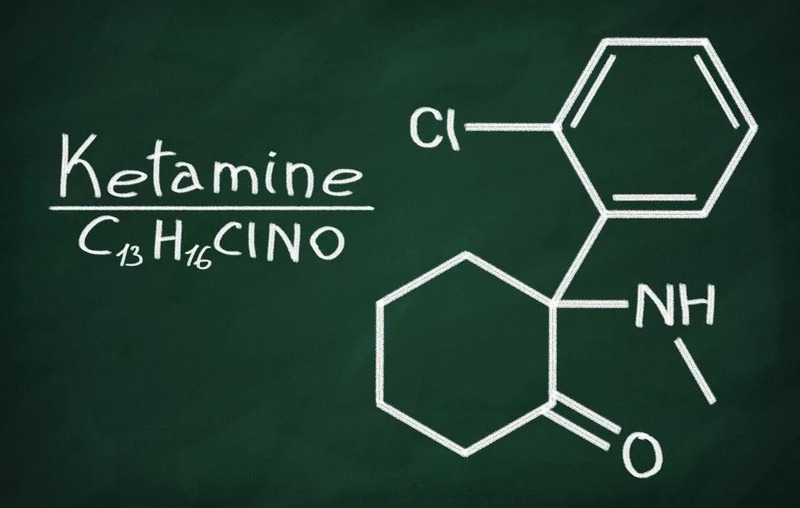 The ketamine naltrexone study was published in the journalJAMA Psychiatry. Ketamine is a dissociative anesthetic that acts on the central nervous system by antagonizing the n-methyl-d-aspartate (NMDA) receptors. It is a rapid acting anti-depressant, but there is a lot more attention being paid to it’s efficacy in alcohol and drug abuse treatment. 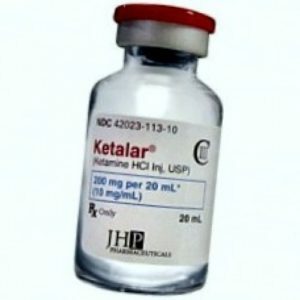 Ketamine has been shown in some studies to prolong abstinence from alcohol and drug use disorders. It also has been found to reduce cocaine craving and self-administration in untreated patients. The mechanisms by which this works has been through the disruption of relevant neural networks which blocks reconciliation of drug-related memories, neuroplasticity and neurogenesis, and enhancing psychological therapy. We know that addiction is a chronic relapsing disorder with cravings, drug seeking, and unpleasant withdrawal symptoms upon cessation of the drug. Relapse rates with current therapies are between 40-80%. memantine, operant responding and motor activity were assessed. Both ketamine and NBQX attenuate alcohol drinking in male Wistar rats. The devastating consequences of alcohol-use disorder (AUD) on the individual and the society are well established. Current treatments of AUD encompass various strategies, all of which have only modest effectiveness. Hence, there is a critical need to develop more efficacious therapies. Recently, specific glutamatergic receptors have been identified as potential novel targets for intervention in AUD. Thus, the current study was designed to evaluate the effects of acute administration of sub-anesthetic doses of ketamine, an NMDA receptor antagonist, as well as NBQX, an AMPA/kainate receptor antagonist on alcohol intake and its possible behavioural consequences. Adult male Wistar rats were trained in drinking in dark paradigm (3 weeks), and following stable alcohol intake, ketamine, NBQX as well as their combination were injected prior to a 90 min drinking session. In addition to alcohol intake, sucrose preference (overnight), and locomotor activity and forced swim test (FST) were also evaluated before and following alcohol intake. Both doses of ketamine (5 and 10 mg/kg) and NBQX (5 and 10 mg/kg) significantly attenuated percent alcohol intake. The combination of the higher dose of ketamine and NBQX, however, did not significantly affect percent alcohol intake. Moreover, animals exposed to alcohol showed decreased sucrose intake (reflective of anhedonia), decreased locomotor activity and swimming in the FST (reflective of helplessness), that were not affected by ketamine and/or NBQX. These results suggest that selective antagonism of the NMDA or AMPA/kainate receptors may be of therapeutic potential in AUD. where memories are rendered more labile following reactivation. After morphine CPP ( conditioned place preference) was induced, rats were intraperitoneally administered 60 mg/kg of ketamine after being reexposed to the conditioned context or while they were in their home cages. After ketamine administration, preference for morphine decreased significantly in the first retest. This has been interpreted as evidence that ketamine successfully disrupted reconsolidation of the environment-drug memory. Persistent memory associated with addictive drugs contributes to the relapse of drug abuse. The current study was conducted to examine the effects of scopolamine and ketamine on reconsolidation of morphine-induced conditioned place preference (CPP). In experiment 1, after morphine CPP was acquired, rats were injected with ketamine (60 mg/kg, intraperitoneally) and scopolamine (2 mg/kg, intraperitoneally), respectively, after reexposure to an earlier morphine-paired context or in their home cages. The CPP was reassessed 24 and 48 h after reexposure. An additional group of rats received saline following reexposure to the earlier morphine-paired context. 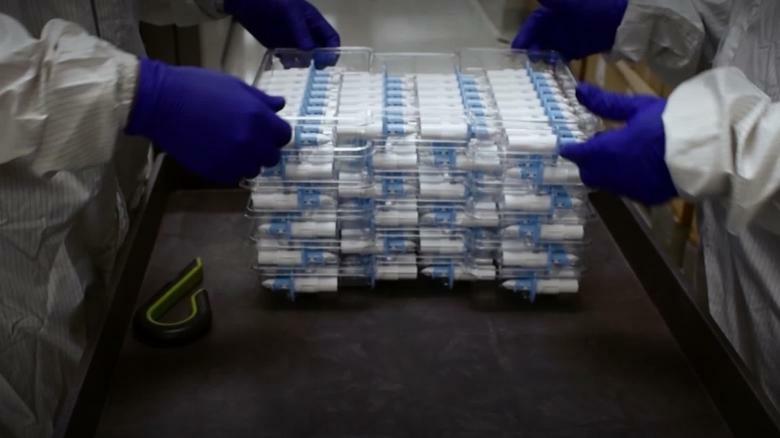 In experiment 2, two groups of rats were only given saline during the CPP training and subsequent administration of ketamine or scopolamine during the reexposure. In experiment 1, rats failed to exhibit morphine CPP when ketamine and scopolamine were administered only after reexposure to a morphine-paired context. CPP was not abolished by ketamine or scopolamine administration in the animals’ home cages. Also, the animals receiving only saline injections showed strong morphine CPP 24 h after a short exposure to the morphine-paired context. In experiment 2, ketamine or scopolamine treatment alone did not induce CPP or aversion. Administration of scopolamine and ketamine, after reexposure to a drug-paired context, resulted in the disruption of morphine CPP, suggesting the potential effects of scopolamine and ketamine in disrupting memory associated with environmental cues and addictive drugs. of recently detoxified alcohol dependent patients undergoing KPT (n ¼ 111) were compared with another group of alcohol dependent patients who were treated with treatment as usual (n ¼ 100). Both groups underwent alcohol detoxification before treatment. After these sessions, the KPT group received an intramuscular injection of ketamine (2.5 mg/kg) along with the corresponding preparation. The control group received ‘conventional, standard methods of treatment’ in the same hospital. Only 24% of the control group remained abstinent after a year, whereas 66% of the KPT group did not relapse during the same period (p < .01). Ketamine is a dissociative anesthetic widely used by physicians in the United States and also a psychedelic drug that physicians can legally prescribe off-label within the United States for other therapeutic purposes. It has been used in Russia and elsewhere to successfully treat alcoholism and other psychological or psychiatric problems, but has not been researched for this purpose in the United States. Results of a series of clinical trials using ketamine for treating alcoholism in the United States are retrospectively reported, along with 2 case studies of how psychotherapy facilitated by this substance helped two individuals achieve abstinence through ketamine’s transpersonal effects. Considering the massive problems caused by alcoholism, the need to begin formal research studies on ketamine psychotherapy for alcoholism is emphasized. consumed in normal life in the 4 weeks following the experiment, compared to baseline. Dakwar, E., Levin, F., Foltin, R.W., Nunes, E.V., Hart, C.L., 2014b. The effects of subanesthetic ketamine infusions on motivation to quit and cue-induced craving in cocaine-dependent research volunteers. Biol. Psychiatry 76, 40e46. https://doi. org/10.1016/j.biopsych.2013.08.009. Repeated drug consumption may progress to problematic use by triggering neuroplastic adaptations that attenuate sensitivity to natural rewards while increasing reactivity to craving and drug cues. Converging evidence suggests a single sub-anesthetic dose of the N-methyl-D-aspartate receptor antagonist ketamine may work to correct these neuroadaptations and restore motivation for non-drug rewards. Using an established laboratory model aimed at evaluating behavioral shifts in the salience of cocaine now vs money later, we found that ketamine, as compared to the control, significantly decreased cocaine self-administration by 67% relative to baseline at greater than 24 h post-infusion, the most robust reduction observed to date in human cocaine users and the first to involve mechanisms other than stimulant or dopamine agonist effects. These findings signal new directions in medication development for substance use disorders. ketamine in animal models of depression. are robustly correlated with the drug’s antidepressant effects. cingulate cortex and the mPFC . between and within resting-state consciousness networks. common in addicts and predictive of relapse. subjective effects of ketamine, lasting for 3 days after infusion. treatment-resistant major depressive and bipolar disorders. may predispose relapse to: heroin, alcohol, cannabis and cocaine. Clinical data with 3,4-methylenedioxymethamphetamine (MDMA) in post-traumatic stress disorder (PTSD) patients recently stimulated interest on the potential therapeutic use of psychedelics in disorders characterized by maladaptive memories, including substance use disorders (SUD). The rationale for the use of MDMA in PTSD and SUD is being extended to a broader beneficial “psychedelic effect,” which is supporting further clinical investigations, in spite of the lack of mechanistic hypothesis. Considering that the retrieval of emotional memories reactivates specific brain mechanisms vulnerable to inhibition, interference, or strengthening (i.e., the reconsolidation process), it was proposed that the ability to retrieve and change these maladaptive memories might be a novel intervention for PTSD and SUD. The mechanisms underlying MDMA effects indicate memory reconsolidation modulation as a hypothetical process underlying its efficacy. Mechanistic and clinical studies with other two classes of psychedelic substances, namely cannabinoids and ketamine, are providing data in support of a potential use in PTSD and SUD based on the modulation of traumatic and appetitive memory reconsolidation, respectively. Here, we review preclinical and clinical data on cannabinoids and ketamine effects on biobehavioral processes related to the reconsolidation of maladaptive memories. We report the findings supporting (or not) the working hypothesis linking the potential therapeutic effect of these substances to the underlying reconsolidation process. We also proposed possible approaches for testing the use of these two classes of drugs within the current paradigm of reconsolidation memory inhibition. Pharmacological memory reconsolidation blockade provides a potential mechanism for ameliorating the maladaptive reward memories underlying relapse in addiction. Two of the most promising classes of drug that interfere with reconsolidation and have translational potential for human use are N-methyl-d-aspartate receptor (NMDAR) and B-Adrenergic receptor (B-AR) antagonists. We used meta-analysis and meta-regression to assess the effects of these drugs on the reconsolidation of reward memory in preclinical models of addiction. Pharmacokinetic, mnemonic and methodological factors were assessed for their moderating impact on effect sizes. An analysis of 52 independent effect sizes (NMDAR = 30, B-AR = 22) found robust effects of both classes of drug on memory reconsolidation, but a far greater overall effect of NMDAR antagonism than B-AR antagonism. Significant moderating effects of drug dose, relapse process and primary reinforcer were found. The findings suggest that reward memory reconsolidation can be robustly targeted by NMDAR antagonists and to a lesser extent, by B-AR antagonists. Implications for future clinical work are discussed. ► Meta-analysis of NMDAR and B-adrenergic antagonists in preclinical reward reconsolidation. ► Larger effects of NMDAR (r = .613) than B-adrenergic (r = .24) antagonists were found. ► ‘Relapse process’, trace type, reinforcer and drug dose moderated effect sizes. ► NMDAR antagonists particularly might be of clinical use in treating addiction. blindly and quantitatively assessed by analysing patient’s selfreports. were improved after the ketamine experience. quit 24 h after the infusion in cocaine addicts . acceptance of a sober lifestyle. process may be useful in treating addiction. well as enhancing the uptake of new therapeutic content.